Derick Brassard had his best NHL regular season, both offensively speaking and all-round, in 2014-15. 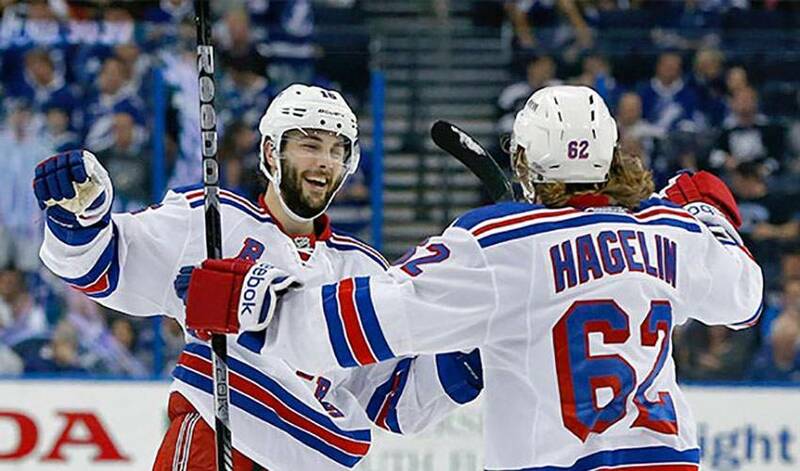 The New York Rangers forward has been just as good come playoff time. After a campaign that saw him finish one shy of the 20-goal mark, and record 41 assists for 60 points, the 27-year-old centreman, in his second full campaign with the Blueshirts, hoped to build on what he contributed to the team that made it to the Stanley Cup finals one season earlier. With his confidence at an all-time high, and his game reflecting it, Brassard skated into this year’s post-season determined to raise the bar. In nine playoff games this year, the native of Hull, Quebec, has six points, including five goals, one of them a game-winner. In Game 2 of New York’s Eastern Conference clash with Washington, Brassard went from crestfallen to cheerful in a short span. Sent to the penalty box at 3:57 of the third period with his team holding a tenuous 2-1 lead, Brassard, after serving his interference infraction, jumped back on the ice and proceeded to fire home the eventual winner in a 3-2 Rangers triumph. Not quite his version of an ideal series of events, but one that paid off with a much-needed victory. So, aside from the trip to the sin bin, his Game 2 performance otherwise fits the bill of what he hoped to accomplish – a key contribution on offence and a 61.54 per cent mark in face-offs. Brassard has had points in six of the Rangers’ nine playoff games, scoring a goal in three of the five contests against the Pittsburgh Penguins in round one. The former sixth overall pick (Columbus) in 2006, Brassard was most pleased with the way New York endured in a pair of extra-frame contests against the Penguins, including the series-clinching 2-1 win in Game 5. “I was really impressed with the poise and confidence we had in the two overtime games that we won,” he said. Two terms that can certainly be associated with the New York Rangers’ No. 16. One goal. Two points. An overtime win. Derick Brassard sure knows how to make a hometown hockey debut memorable.